A very very Rocket Punk Space Cat with a group of fairly rocket punk-ish sidekicks. In part this is inspired by mid twentieth science fiction art. 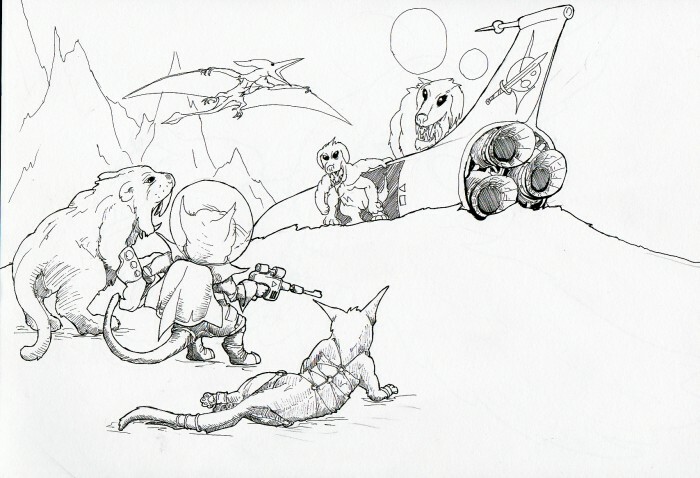 This entry was posted in Scanned Desksketch and tagged cat, rocket punk by Anthony. Bookmark the permalink.